Please select an option Pink Grey Blue Please select a color. Please select an option Xxxl Xxl Xl S M L Please select a size. 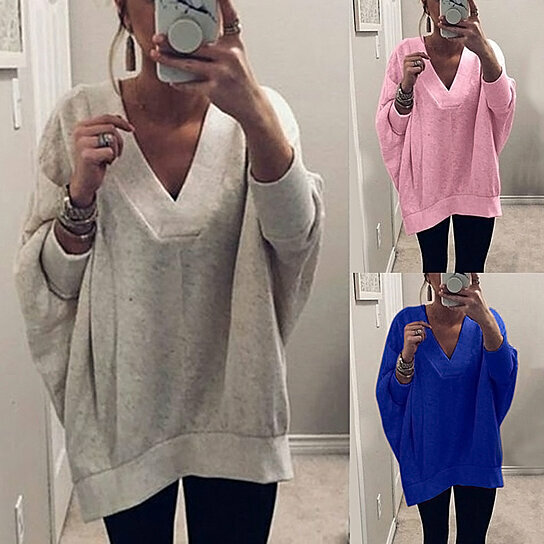 Solid color and V-neck design knitted top, casual and stylish. Made of high quality material, soft and warm, comfortable to wear. Loose design, easy to match, suitable for many occasions.